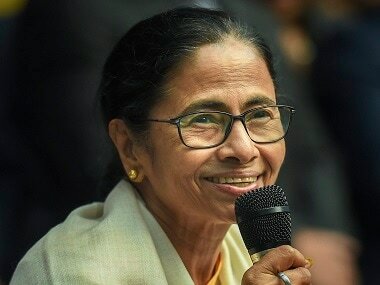 Following West Bengal chief minister Mamata Banerjee's recent visit to New Delhi, where she held meetings with several Opposition leaders, Telegu Desam Party (TDP) leader and Andhra Pradesh Chief Minister N Chandrababu Naidu is set to visit the National Capital and interact with the Opposition parties next week. Naidu's Delhi visit and the plan to meet Opposition leaders comes weeks after the TDP decided to walk out of the National Democratic Alliance (NDA). Naidu and his cabinet ministers were miffed when the Union Budget 2018 made no mention of Andhra Pradesh. 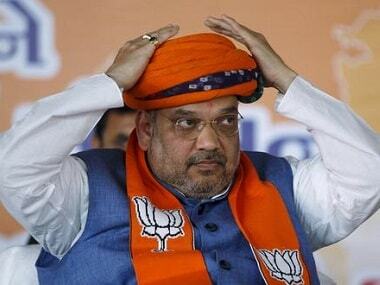 Angry over the injustice meted out to state, ruling TDP planned to mount pressure on the BJP and in a few days time decided to snap ties with the saffron party. Speaking at the Andhra Assembly, Naidu had said, "I took the decision not for selfish reasons but for the interests of Andhra Pradesh. For four years I made all efforts, went to Delhi 29 times, asked many times. 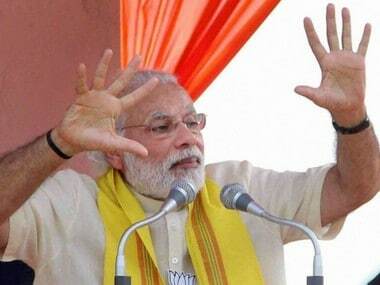 This was the Centre's last Budget and there was no mention of Andhra Pradesh." Naidu had also attacked Prime Minister Narendra Modi, claiming that he was "responsible for injustice to Andhra Pradesh". According to a report in The Times of India, Naidu will be in Delhi on 2 and 3 April, where he will hold meetings with leaders of various Opposition parties to garner support for the TDP with the aim of participating in the anti-BJP platform ahead of the 2019 Lok Sabha elections and Assembly elections in Andhra Pradesh. The TDP became the first major party (in terms of seats) to exit the NDA, which had stormed to power in the 2014 Lok Sabha elections. Naidu's hopes of a no-confidence motion against the NDA in the Lok Sabha were dashed on Wednesday after the Lower House was adjourned till 2 April. 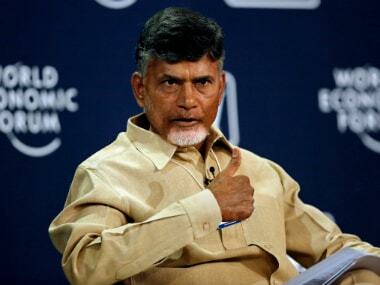 Naidu, reports quoted sources as saying, hopes to garner support for the TDP in Andhra Pradesh. This will be the Andhra chief minister's first visit to New Delhi since the TDP split from the NDA. On Wednesday, Naidu also informed the Andhra Assembly of his visit to the National Capital. "I will go to Delhi. I will garner support from all parties and fight for justice. Will seek their support and cooperation for our rightful demands." Naidu aims to gather support for the party at the national level and negotiate new alliances with an eye on the 2019 elections. Naidu has also been in regular touch with West Bengal Chief Minister Mamata Banerjee, since he quit the Centre. During Mamata's visit to New Delhi on Tuesday, she met TDP MPs led by parliamentary party leader YS Chowdary at the Parliament House. MPs from TDP had thanked the West Bengal chief minister for backing the party's no-confidence motion in the Lok Sabha, while Mamata had assured the TDP members of "being with Babu." Mamata's recent four-day trip to Delhi was aimed at forging an united Opposition front to take on the BJP in the upcoming Lok Sabha elections in 2019. Mamata had met several Opposition leaders, including Nationalist Congress Party (NCP) chief Sharad Pawar and UPA chairperson Sonia Gandhi, during her visit. There is still no clarity on which leaders Naidu plans to meet, but the timing of the visit is curious. The West Bengal chief minister met Pawar at the NCP's Parliament office on Tuesday, where the two leaders engaged in a politically-charged discussion. Mamata and Pawar had agreed that a coalition of an united Opposition was a strategic requirement to ensure the BJP-led NDA's defeat in the 2019 Lok Sabha elections, according to The Economic Times. Mamata also held a meeting with Sonia Gandhi where she invited the Congress to join the united "Third Front". "I told Soniaji that we want the Congress to be a part of the united opposition," she had told reporters. The Trinamool Congress leader suggested a state-wise, one-on-one fight with the BJP as an approach to defeat the saffron party, where a party strongest in a given state contests against the BJP in that state. The West Bengal chief minister also met MP Sanjay Raut of the Shiv Sena, an ally of the NDA, where the latter expressed his support towards Banerjee, Times Now had reported. The TMC leader also met Delhi chief minister Arvind Kejriwal. BJP rebels Shatrughan Sinha, Yashwant Sinha and Arun Shourie expressed their support for Banerjee's efforts to forge a coalition of forces to fight against the BJP. Former Union minister Yashwant Sinha met Banerjee along with BJP MP Shatrughan Sinha and said they came to meet her as there was a need to save the country. Banerjee also held discussions with Telangana Rashtra Samithi (TRS) chief K Chandrasekhar Rao's daughter K Kavitha and Lalu Prasad Yadav's daughter Misa Bharti besides MPs from Biju Janata Dal, Samajwadi Party, Rashtriya Janata Dal (RJD) and Dravida Munnetra Kazhagam (DMK).